When Should You Take Your Child to the Orthodontist? 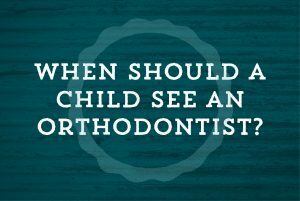 There are many differing opinions from doctors about what is the best age to take your child to see an orthodontist. The American Association of Orthodontists recommends taking your child to an orthodontist for an exam no later than age seven. This does not mean that your child will be ready for treatment at this age, but it is good to get a gauge on their jaw development and an estimate of what treatment will be needed. This is also a great time to see if your child is a candidate for early treatment. If you are a candidate, Drs. Birth, Stewart, or Fletcher can break up your child’s treatment plan into two sections to help shorten their overall treatment time and avoid more severe treatment later in their life. Call today for your complimentary consultation with Birth, Stewart, Fletcher Orthodontics at an office near you!